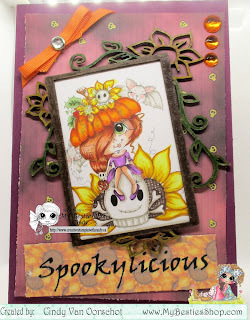 Hi Everyone, today I am here to share my new card for our Halloween Challenge over at My Besties International Challenge, we hope you will come over and join us. Our Challenge is always anything goes and also you can use any image, it doesn't have to be a Besties, even though they are adorable. My Card is using several products you can find at the My Besties Shop, First of all I am using img022 from the You Drive me Batty collection which I have colored using Copic Markers. The second element I am using is the beautiful chipboard frame, which I colored with Polychromo Pencils then sealed it with clear nail polish. My final element from the store is the wonderful paper that you can print at home and no it doesn't cost a lot to do so. 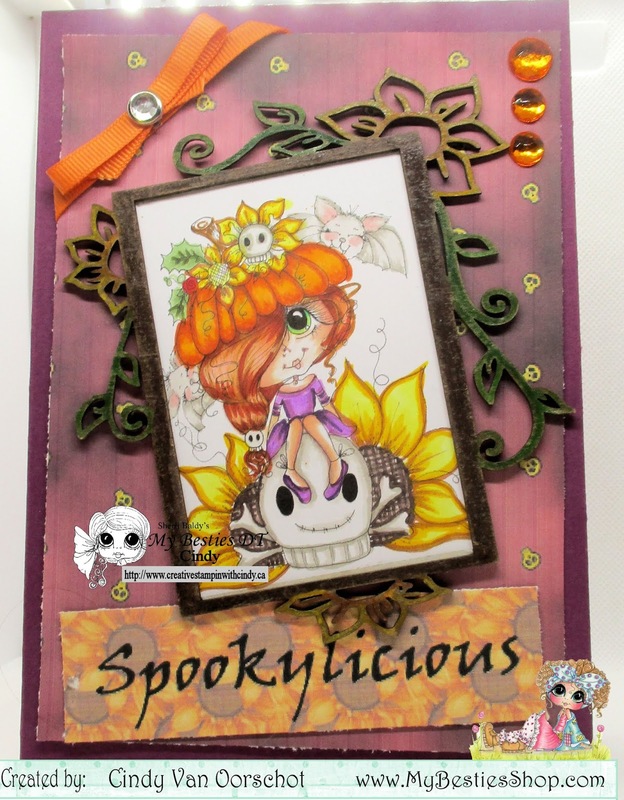 It's called Fall Batty Paper Pack, which I used 2 of the 12 sheets available. I printed my sentiment on one and the other is my background, I hope you like my card and come join us in the challenge. She's absolutely adorable ! 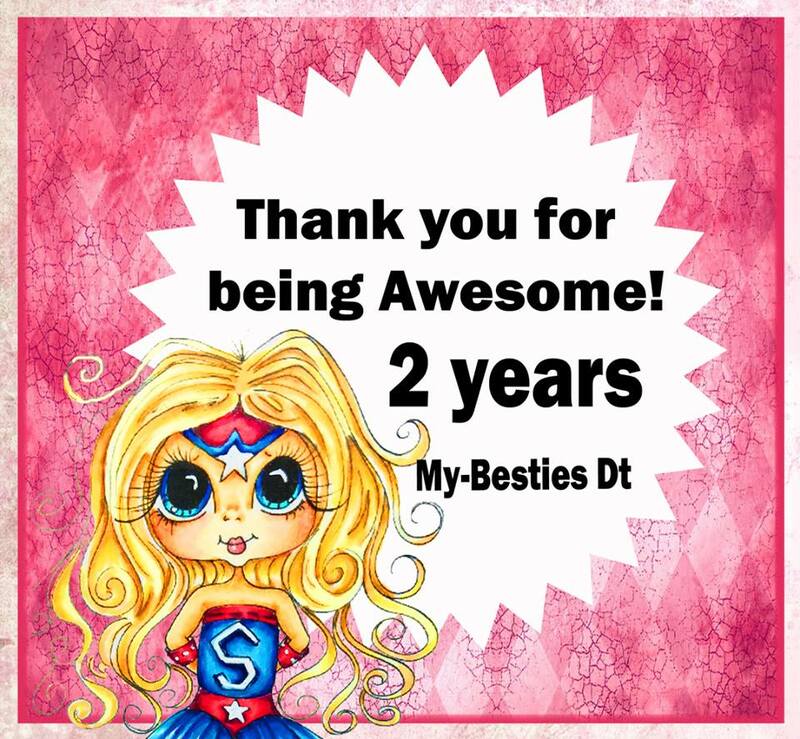 Love your beautiful card ! 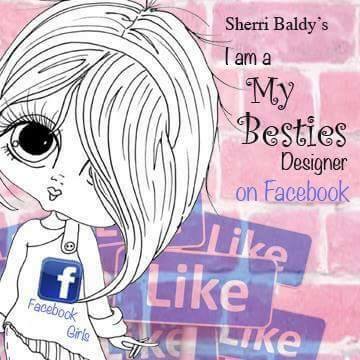 Your image is beautiful and I love the chipboard piece too! Fantastic card!! Finally getting around to visiting again and hope you are doing well! !